During the recent budget, the Government announced measures to continue targeting the black, or hidden, economy. Whilst this covers a lot more than just cash transactions, we thought it timely to provide information about cash handling best practices in your business. Apart from correct reporting to the Australian Taxation Office, implementing good practices around cash will minimise the risk of fraud or mistakes when dealing with cash. There is no problem with receiving and making payments by cash, so long as these are handled and reported correctly. Unfortunately, along with incorrect reporting of cash transactions, cash is an easy target for fraud within a business. Putting into practice good systems will make your reporting easier and reduce the likelihood of cash theft. Regardless of how your customers pay you, and how you pay your suppliers, you need the same records. You need proof of a business expense, even if it was paid in cash. You need proof of a customer payment, regardless of the method of payment. If a supplier does not want to provide an invoice or receipt for a cash payment, you are within your rights to insist on one for your business records. If you have no proof of purchase, you are unable to claim it as a business expense. If customers pay cash for sales invoices, you need systems in place to show the receipt of cash and corresponding deposit into the bank. Best practice for cash handling is in fact to separate the duties, so that more than one person handles and records the cash and then banks the cash. However, this is not always practical in a small business. If possible though, have one staff member operating the till and completing the daily takings records, then another staff member counting the till and reconciling the daily takings sheet against the actual cash and point-of-sales (POS) records. It is quite common for business owners to take cash out of the business funds; you should keep records to show exactly how much was taken and when. You may choose to pay staff in cash, so long as the records are accurate. You should clearly show in your accounts how employees are paid if it’s not by electronic bank transfer. If you do pay wages by cash, you should have staff sign a form to acknowledge receipt of cash wages as proof of payment. In a busy retail environment where a lot of cash is handled, it is just as likely that there is more money than there should be at the end of the day as it is that there is less money than there should be. The key is to look for patterns and the overall trend, noting that small discrepancies are to be expected. Small amounts and human errors should not necessarily be assumed to be deliberate. The kind of thing you want to keep an eye out for is, for example, when the till is consistently under by $50 when a particular staff member is rostered on. Or perhaps there are several notes about ‘Supplier Payment’ but with no supporting receipts or invoices to prove the expense or link to a specific supplier. Look for patterns over time and make allowances for human error. Genuine errors, for example in till operation, can be corrected by staff training. Investigate any large discrepancies or patterns. Whether cash reconciliation is performed daily, weekly, monthly or quarterly, it should be done to keep track of cash takings in the business and minimise the chance of ‘missing’ funds. If there is a big discrepancy between cash reconciliation and the actual cash held at the end of a period, you will need to investigate the processes and possible reasons for the cash difference. It could be theft, it could be that the owner has taken cash without recording it, or it could be that cash sales and purchases have been made without corresponding records. The more frequently you reconcile your cash records to actual takings and expenses, the less likely you are to have nasty surprises. We know of a business that had poor cash records, but which was ‘keeping tabs on it’ by using a rough spreadsheet. The owner left it a year before doing a full reconciliation and then found the cash account was out of balance by over $40,000. As it had been so long, and the cash-handling processes were not great, they had no way of telling if this was poor record keeping or if theft had been committed and one of their senior employees was $40,000 richer! Needless to say, the business has now implemented a better process to handle and track cash in and out of the business. There are various templates available for recording cash takings and expenses; this should be completed by the cash handler or till operator. Make sure the till operator knows how to record cash sales and expenses, either from the till operating system, or by a manual record. Final reconciliation, showing total net cash counted, total EFT and credit card and Z-read. Ideally the totals balance. If it is out of balance, this will show as ‘over or under’. When these daily takings sheets are done regularly, you will soon see if there are patterns to the out-of-balance amounts each day. Keeping these records will make your Business Activity Statement easy to complete. Why leave your cash reconciliation until the end of the BAS period to tally up? Not only does it make the job much harder than it needs to be, you will be less likely to pick up errors or fraud doing it this way. You may or may not have a safe on the property; if you do use a safe, senior staff or the owner should verify the contents regularly—at the start of a day, start of a shift, during the shift, at the end of the shift and end of the day. The safe contents should be reconciled just like each till, recording the movements in and out and the balance at any point in time. Ideally, you should have a staff member do the cash banking who has not been involved in counting the takings or till. This will minimise the risk of fraud happening at this point of operations. It is also sensible to have a cash-handling safety policy if your business does need to handle large amounts of cash. You need to record who has access to the safe and regularly change the access code. You may decide to have two staff members go to the bank. If there is some distance between the business and the bank, vary the route, day of the week and time of day that staff go to the bank to minimise the risk of a pattern being observed. Don’t make it obvious that you are carrying cash by using the same dedicated bag each time; use varied means of carrying the cash. If a single staff member has to carry large amounts of cash in public, implement a safety procedure of asking that staff member to check in with management by phone or text during the banking process. You could also consider using a professional security service to minimise fraud and staff responsibility. Implementing internal controls will assist small business owners to reduce the chance of cash fraud or theft. Good processes reduce the opportunity for theft—if it is easy to steal cash from you then it is likely to happen! Equally, good processes will quickly reveal to you any errors, anomalies or patterns you need to attend to, as well as reducing the opportunity for theft. Although you may feel your staff are absolutely trustworthy, when it comes to handling cash, the reality is that cash is often too great a temptation for otherwise honest people to ignore. If there are no systems in place to record cash movements then it becomes an easy target. 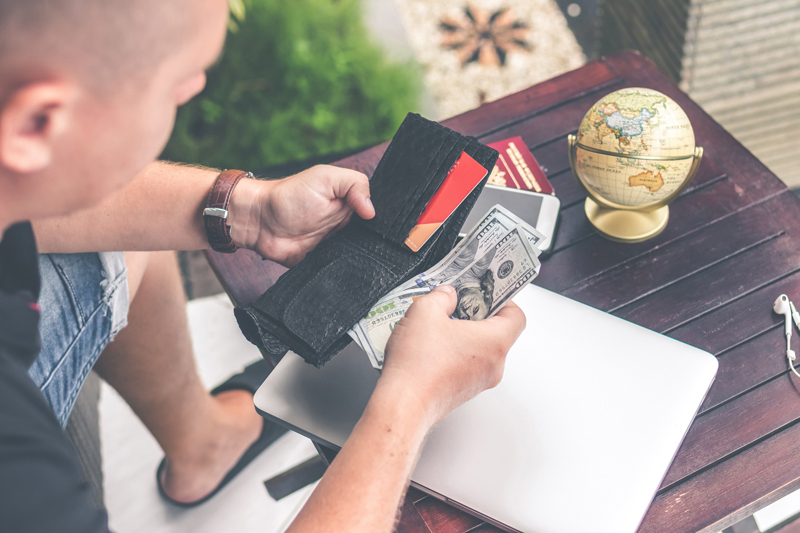 As a business owner, you need to find the balance between trust and keeping an attentive eye on areas of vulnerability such as cash handling. The better your processes and systems, the more you can rely on those systems to do the work for you.